Also simply known as Mottaret, the village of Méribel-Mottaret makes up part of the larger Méribel resort, which in turn sits within France's famed and sprawling 3 Valleys area, the largest ski area in the world. A purpose-built village, Mottaret is situated 300 metres above Méribel Centre, at an altitude of 1750m. 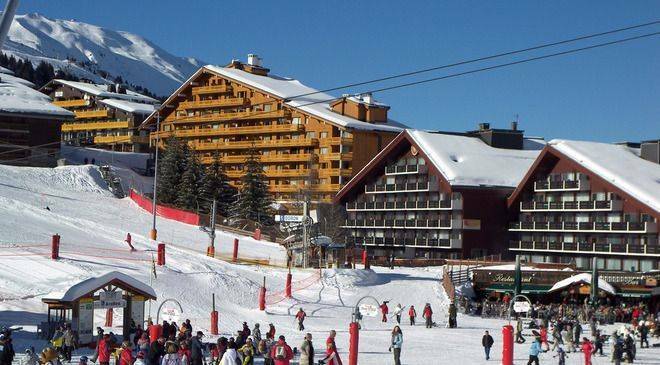 With plenty of accommodation options within the village, and free shuttle buses to the centre of Méribel, Mottaret provides easy access to excellent skiing in the 3 Valleys. 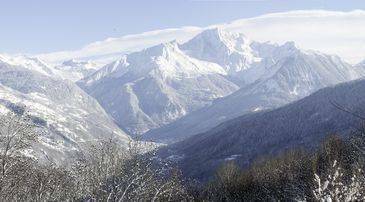 Mottaret is ideal for visitors who seek the convenience of skiing in and out of their chalet, with plenty of accommodation options and good facilities that cater for families and beginners. Méribel Centre is a much more boisterous resort, so visitors to Mottaret can take advantage of the free shuttles and travel the 300m down to the centre for a livelier atmosphere. Originally purpose built, a recent transformation has seen Mottaret transformed into a chic and trendy destination which was historically a firm favourite with British skiers, but now attracts a more international crowd. 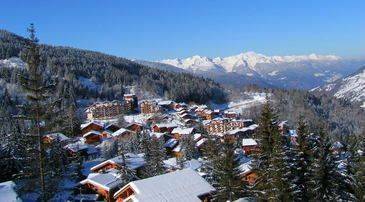 Méribel Centre is a more expensive village, while Mottaret offers a budget-conscious destination for families, within close proximity of Méribel Centre. Holidaymakers staying in Mottaret can take full advantage of the facilities in Méribel Centre, as well as further afield in the Méribel resort. Whilst some people might consider the two areas to just be one resort, it is important to remember that they are actually three kilometres apart. And with Mottaret being 300 metres higher (standing at 1700m) than Méribel Centre, it enjoys more reliable snowfall. Mottaret offers 80km of pistes connected by 21 lifts, to 3 green runs, 9 blues runs, 12 red runs and 2 black runs. The resort is now home to the Zen Zone, which is a ski area specifically aimed at families and children who want to practice in a safe and peaceful environment. More experienced skiers can take advantage of the range of red runs that fan out around Mottaret. For those seeking something even more challenging, there is a wealth of off piste areas to explore and a demanding 400 metre long mogul slope running to the west of Mottaret. Snowboarders are not left out, with the Plattières snowpark servicing the area offering two half pipes, two quarter pipes, woops, handrails and also a practice boarder cross. While Mottaret may be a quieter village, it does offer quick access to the Courchevel Valley. In fact, it is probably quicker to reach the top of Courchevel from Mottaret than it is from the actual Courchevel resorts! Once guests have explored Mottaret's pistes, the Méribel valley in its entirety offers over 150km of pistes connected by 26 lifts. Intermediate skiers in Méribel can take advantage of the morning sun at Tougnète or Mont de la Challe. A mix of blue and red pistes head back down into the centre of Méribel, where the afternoon sun can be enjoyed in Saulire, accessible from either Méribel Centre or Mottaret. Experienced skiers will enjoy the long black runs down into the centre of the resort. Méribel provides 33km of well-prepared cross country ski trails. The trails are situated at Lac de Tueda and around the Altiport area of Méribel. There are some green tracks for those simply wanting to relax and enjoy the view, while slightly more confident skiers may head for the blue runs. Both of these tracks offer impressive scenery and beautiful mountain landscapes. The resort of Méribel is one valley within the huge 3 Valleys domain. It provides in total 600km of skiable terrain, broken into 177 blue runs, 111 reds and 30 black runs. 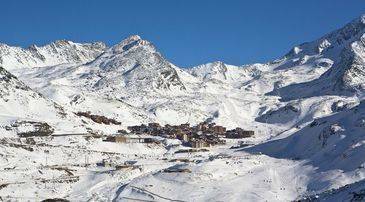 66 chairlifts, 4 cable cars, 52 drag lifts and 37 gondolas mean accessing all of the slopes is easy in the 3 Valleys. For beginners, starting in Mottaret, moving out to the larger Méribel area, and then exploring the huge 3 Valleys domain is a good idea. That said, beginners will barely scrape the surface of the quantity of pistes in the 3 Valleys area, as there is so much on offer! Intermediates are in for a treat in the 3 Valleys, with over 50% of all pistes being blue or red, while advanced skiers are spoiled for choice in the sheer extent of the 3 Valleys pistes. Mottaret's central location within the 3 Valleys allows for fluid movement between areas, from Méribel to Courchevel and Val Thorens. If you happen to be one of those people who just can't sit still, this area is bound to keep you busy both on and off the piste. A lot of the focus in Méribel is on winter sports, such as ice skating, dog sledding and ice climbing. Away from the pistes, there is plenty to entertain even if the weather does turn in. Indoor climbing, spas, swimming and shopping are all close at hand. Although the French Alps may seem a long way to go to try geocaching, the game of outdoor, worldwide hide and seek, it is a popular trend on the mountain. There are plenty of restaurants in the area both on the mountain and in the resort. With such an expanse of terrain to explore, many people won't want to spend too much time having lunch so opt for a budget restaurant. Eateries such as Cookie's Club or Les Cretes provide traditional Savoyard food. In Méribel, Chez Kiki has established a firm following among the British, famed for cooking meat over an open fire, in full view of the diners, with prices starting from 25 euros per head. If you're looking for a real treat, L'Ekrin in Méribel has a Michelin Star, serving delicious French-inspired delicacies. When staying in Mottaret and you don't want to trek out for dinner, try nearby La Brizolee. This is a traditional alpine restaurant with typical wood decor and great view of Mont Vallon. For some proper partying, Méribel is more than well equipped. Hop on the free shuttle bus in Mottaret to Méribel Centre and visit Le Pub for a happening atmosphere with live music and sports screens. Nearby Jack's bar is also pretty lively, with several happy hours to ensure the cocktails flow continuously. Buses and shuttles take around 40 minutes to get to Courchevel, offering a bright and lively nightlife, with plenty of pubs and clubs to explore. The resort generally opens between the 5th December and the 24th April, depending on snow conditions. There are various types of passes available. Skiers can choose from the 3 Valleys area or a Méribel area pass. A 3 Valleys pass starts from 234 euros per person for a six day duration, while a Méribel pass starts from 194 euros per person for a six day duration. As with most ski passes it is cheaper to book online and in advance. Most of the ski shops are situated in Méribel, but Mottaret has an Intersport Hire Shop and an Alps Attitude shop. Whilst ski rental can be arranged in the stores, the best deals will be found if you book in advance and online. It is generally advisable to book in advance if ski lessons are required. There are four main ski schools in the area and Snow Systems and Magic in Motion both offer lessons in English. The Snow School Méribel is British run, while the ESF French Ski School offers lessons in French and English. People with small children will be happy to know that there are plenty of babysitters on hand who will look after your little ones at your accommodation. The kindergarten takes care of children aged between 18 months and five years, and there is an additional day nursery. A free pass for children under five is available and they also gain free access to the swimming pool and ice rink. There are three car parks available in Mottaret, two outdoor and one covered. Parking outside in winter is not ideal in case of hard frosts and heavy snow dumps. If you are parking outside, leave your car facing downhill, in gear, with the wheels turned in towards the kerb, and your windscreen wipers lifted off the glass. A brick or chuck is a good idea to stick under the wheels.